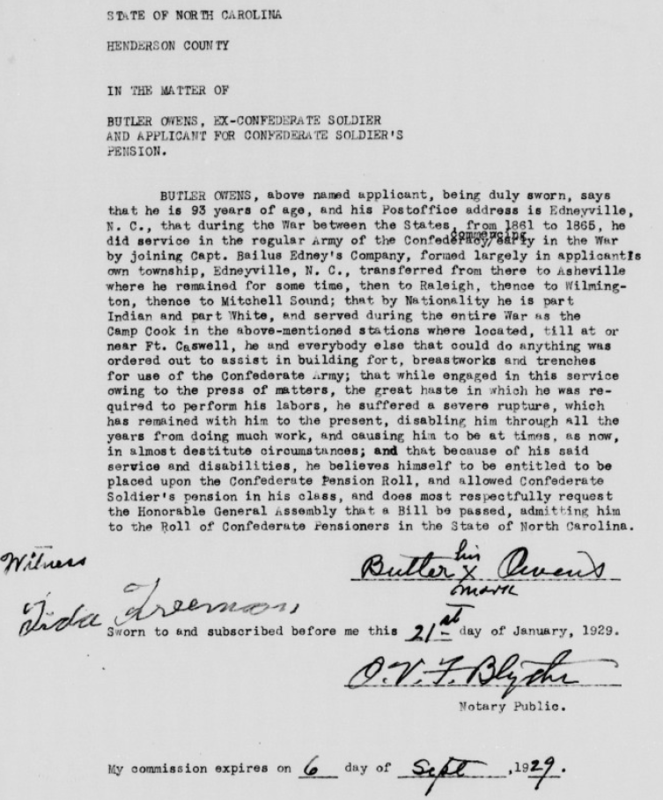 One of our subscribers was looking at the new 1901 Confederate Pension Applications on Digital North Carolina and found an application for Butler Owens in which he states he is part Indian and part white. He apparently joined the Confederate service in Edneyville which is an unincorporated part of Henderson County, NC. Hat tip to Cindy for this find. This entry was posted in Confederate, Military, North Carolina. Bookmark the permalink. Butler Owens is also the great, great maybe another great grandfather of the Owens family whose roots were from Hacket, NC and Bean Station, Tennessee. I curious as to whether or not this is the same person. There are a number of Owens around; had heard the story of his participation with the South during the Civil War.